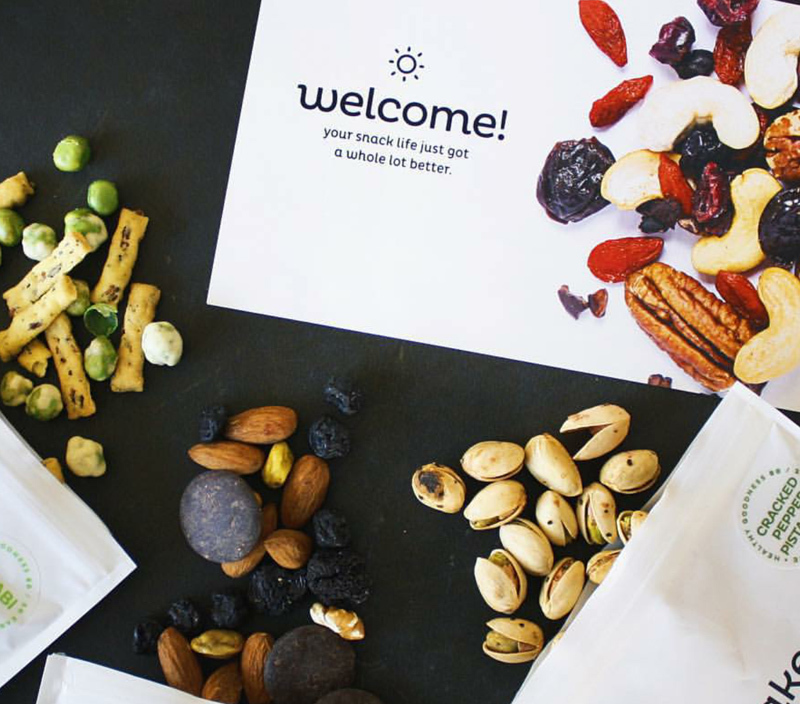 The team behind Naked Snacks is as dynamic and full of goodness as the tasty treats you love to munch on. 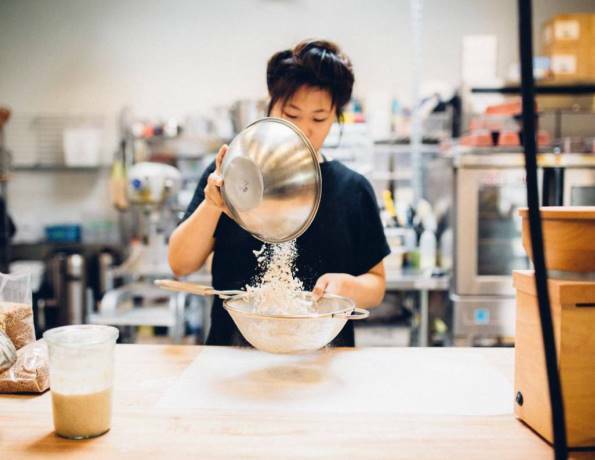 Annabelle Choi is our consulting recipe creator and a relatively new addition to the Naked Snacks team. 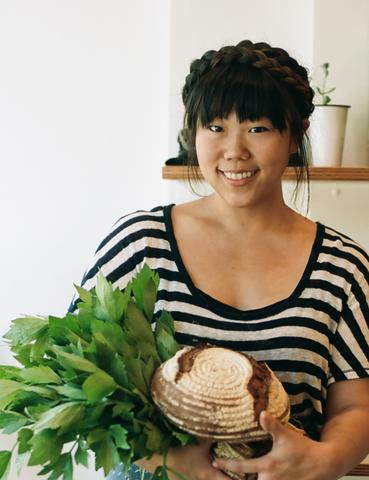 She’s an impressive baker and a bit of a celeb chef around Vancouver. Annabelle’s role at Naked Snacks is to skillfully craft this summer’s new lineup of snacks – an important job! She’s also great at giving recipe advice and values the power of whole foods. We donned a hairnet and pulled up a chair to chat, snack and dish about life as a chef in the Naked Snacks test kitchen. What does a day in the life of a snack creator look like? My day starts by gathering focus group participants – usually four to six people – who have volunteered to taste and assess the new Naked Snacks. They each try three snacks and give their critiques. After the focus groups, I review the notes and compare the feedback with my own critique. If any tweaks are needed, I play around with spices and research different flavor and texture combos. I don’t really have an answer to this question! The best things I’ve eaten have always been in the context of feeling whole and being with people I love. There have been many things that I would love to eat again, but I believe tasting and eating is directly affected by the situation. What do you think are the 3 most underrated ingredients (and why)? Even the humblest ingredients can be transformed into something unique and incomparable in flavor if you just give it time and enjoy the process. 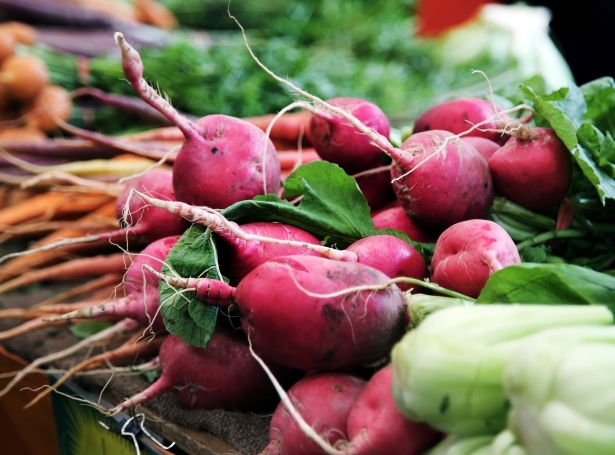 The mark of a great chef doesn’t start with the chef; it starts with the soil, conditions and process a farmer devotes to his produce. An heirloom tomato can have a resounding impact on a dish when it’s coming from the right place. Lentils and beans have so much flavour, nutrients and textural complexity, yet are largely overlooked. We often seek flavour in fats and salts and have forgotten to see the greatness and power of whole foods. Travelling anywhere and speaking with locals about their heritage cuisines, especially in remote areas that still practice slow food and country cooking. Savoury, with a bit of sweet. It’s all about the balance! We already mentioned you’re in the process of creating delicious new Naked Snacks. Can you give snackers a hint of what’s to come this summer? I can’t give anything away just yet, but expect a lot more fun, flavourful, nut-free options! Lastly, what’s your favourite way to eat Naked Snacks? I love them as is, especially any of the savoury mixes, but the sweet snacks are great for adding to oatmeal in the morning or to this Chocolate Chunk Cookie recipe! Learn more about Annabelle and her beautiful food creations on her website or Facebook page and don’t forget to stock up on sweet snacks to add to your drool-worthy Naked Chocolate Chunk Cookies!